There will be a trip going out every week to our neighbouring country every week depending where we’re going to. This give you a lesser waiting time and more choices. Just call, book, pay and go! Depending on date, we go to different place like Tioman, Dayang or Redang. Weekend trips take place on Friday night when you leave Singapore and back on Sunday night. 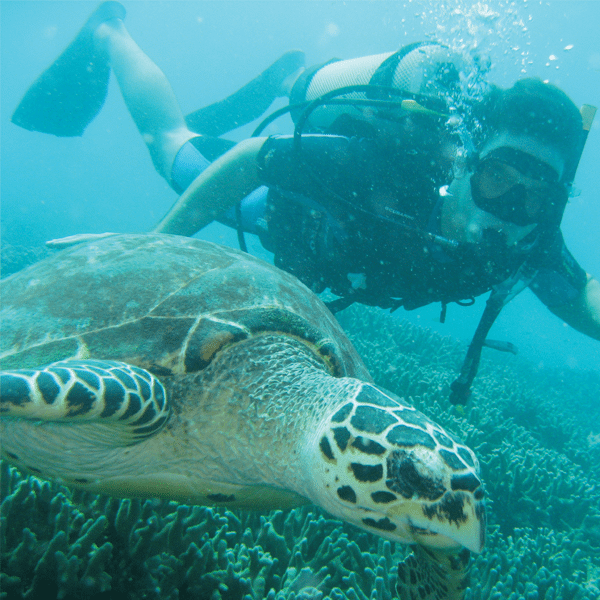 The leisure trip for leisure divers will be 400SGD inclusive of equipment rental, accommodation and transport. There will be a 50 dollar discount if you have your own equipment. If you’re a certified advance diver, there will be a night dive on the first day of the trip with touch included. Of course, it’s not always a 3N2D trip. We organise live on board trips as well as week long trips. Just keep yourself updated by coming here regularly and click on “dive trips” or just simply make a call to check for the date, availability and price. 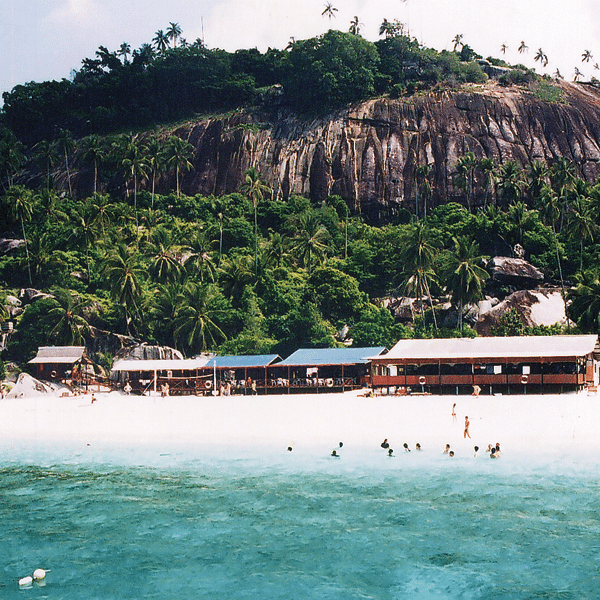 Known as one of the best dive site around Tioman, it is consisted of piling up of many gigantic rocks. Home to a lot of species of both coral reef and marine life. A wall of rocks underwater is pasted with vast vertical and sloping hectors of reefs. The gap between the rock enable the divers to swim through it to any realm of reefs. The dive site seems to have the whole of the sea bed pasted vertically on the wall. Moray eels dotted across the wall along with other marine creatures taking shelter in the midest of the reefs. Various type of 1 species of fishes like pufferfish, triggerfish, snappers, parrotfish and many other marine creature swim along the wall to create a underwater version of “hanging garden”. This is a hot spot for divers. 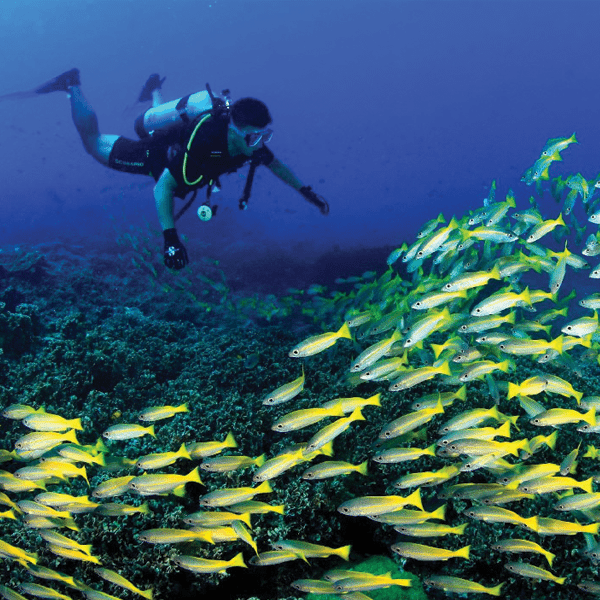 With the many species of breeded fishes swimming around, you will sure be mesmerise by the drama. From here, you’ve access to a serveral ship wrecks at varios different depth. What’s that? Just ships and it’s boring? No! get this, there’s a car wreck, Seriously. It’s for those who find ship boring, i guess. Swim under the jetty and you’ll be amazed by just how unexpectedly busy the place is steaming with life. Corals and urchins sticked to the pillars of the jetty and fishes feeding on the organisms growing and residing on the pillars. You might not even remember you have to accend if not for beeping of your dive watch or the indication of your SPG. The extremely clear visibility of 30meters immediately raise the interest and excitement of anyone who jump into the water. Clear boulders sloping steeply on the side all the way down to 20meters and gently slope down to 30meters. And you don’t even have to go down and find out! All the above description could be observed from the surface. Boulders of rocks littered across the ocean floor. Centuries of erosion and coral settling have created a terrian of sightful underwater landscape instead of the usual flat sea bed wif corals of roughly the equal height. The boulders allow divers to look for marine life hiding in the corals more easily rather than bring your head closer to the sea bed in the usual circumstances. Christmas tree worms grew in plentiful making the place vibrant. You might even forget to descend at the mere sight of it on the surface. The most popular drift dive spot for all level of divers. The moderate current make it a comfortable journey across the dive site. Who cares about the shallow dept of just 12-17m when you have to mix the spot with amateurs when the site is a usual sighting of large marine creatures like Manta Rays and whale sharks? Corals are plentiful. And with this ample supply of corals, there ought to be school of Bumphead Parrotfish and nests of titan triggerfish. Tired of hearing the usual motorboats underwater? Surely you would not mind observing and hearing the crunching sound of the multiple Bumphead munching on the corals.